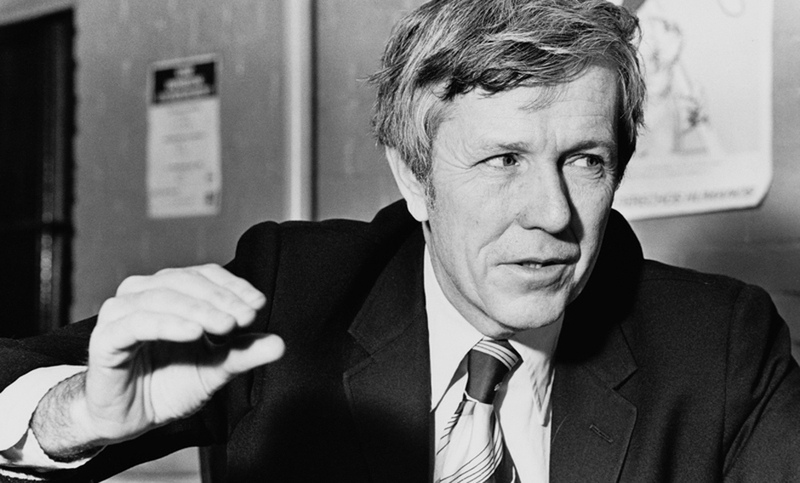 American socialist Michael Harrington was born 90 years ago, on February 24, 1928. Born in St. Louis as the only child of a teacher mother and lawyer father, he remembered a childhood among the “lace-curtain Irish.” His Jesuit education at Holy Cross College trained him well for a life of debate and battle in the socialist movement. After a year at Yale Law School, which he entered as a Taft Republican and left as a democratic socialist, he enrolled at the University of Chicago, where he earned a master’s degree in English. He moved to New York’s Greenwich Village in 1949 and led the life of a bohemian, writing poetry and spending late nights at the White Horse Tavern. Two years (1951-1953) as a volunteer at the anarchist-pacifist Catholic Worker house on the Lower East Side, where he was associate editor of the Catholic Worker, marked him profoundly. He drew on those years for The Other America (1962), his groundbreaking book on poverty in America, and returned there twenty years later for research on The New American Poverty. 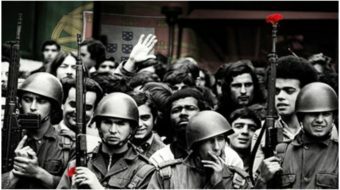 In between those two books and subsequent ones came a lifetime of socialist organizing and activism as well as writing and speaking about social issues that took him to thousands of lecture halls and college campuses. When he left the Catholic Worker and the Catholic faith, he became organizational director for the Workers Defense League in 1953. From 1954 to 1962 he supported himself as a researcher and writer for the Fund for the Republic. In 1957 he published a long article on poverty in Commentary, from which grew The Other America: Poverty in the United States. This period coincided with changing political alliances and faction fights. As a leader of the Young People’s Socialist League (YPSL), the youth section of the Socialist Party, Harrington differed with Norman Thomas over the latter’s critical support for the U.S. war in Korea and took the New York YPSL into Max Shachtman’s Independent Socialist League (lSL) in 1954. He was YPSL national chairman until it dissolved in June 1958. Starting in September 1958, Harrington and other ISL-YPSL members entered the Socialist Party as a bloc. From 1960 to 1962 he edited New America, the Socialist Party’s official paper. With the publication in 1962 of The Other America, Harrington stepped into the national limelight. The book was read by President John F. Kennedy and is considered the intellectual force behind the antipoverty programs of his administration and of Lyndon Johnson’s War on Poverty. As the Boston Globe editorialized in 1987, Medicaid and Medicare, food stamps and expanded Social Security benefits are “directly traceable” to it. Harrington was also active in the civil rights movement and served on Martin Luther King, Jr.’s Advisory Committee. During the 1960s Harrington’s rigid anticommunism and thus his inability to support an unconditional withdrawal of U.S. troops from Vietnam contributed to divisions on the Left that haunted him for years. As liaison for the League for Industrial Democracy, he came into conflict with the League’s youth section, Students for a Democratic Society (SDS). He was upset that SDS allowed the Communist Party an observer at its Port Huron convention in the summer of 1962. 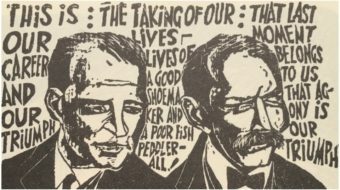 Harrington had come to believe in realignment, that the seeds of a labor or socialist party existed within the Democratic Party and could be nurtured by coalition work with Leftists. He therefore believed that sections of the SDS Port Huron Statement would offend the liberals with whom he hoped to work, because SDS took an insufficiently critical attitude toward the Soviet Union. Later, Harrington would call his actions “stupid” and publicly berate himself for this blunder, but at the time he was a key force in the split between the Old Left and New Left. He was elected chair of the Socialist Party in 1968 as it debated its stance toward the Vietnam War. Harrington’s Realignment Caucus opposed the war but did not support unconditional withdrawal. (Shachtman continued to give critical support to the U.S. efforts, while the Debs Caucus was militantly anti-war.) Although he split with the Realignment Caucus and formed the Coalition Caucus, which backed George McGovern, Harrington did not resign as Socialist Party co-chair until October 1972, two months before leading his caucus out of the party convention to become, in February 1973, the Democratic Socialist Organizing Committee (DSOC), of which he was chair. DSOC pursued its Democratic Party strategy through such projects as Democracy ’76 and Democratic Agenda, which were program and policy coalitions within the party. In the 1980s, the successor coalition was called New Directions. A rapprochement between some members of the Old Left and New Left occurred when Harrington supported the merger of DSOC and the New American Movement in 1982. Now he was working with many who had disdained him during the 1960s but whose politics had drawn closer to his, as had his to theirs. The new organization, Democratic Socialists of America (DSA), claims to be the largest democratic socialist organization in the United States. (Following the presidential primary campaign of avowed democratic socialist Senator Bernie Sanders (D-Vt.) and the election of Donald Trump in 2016, DSA quintupled in membership to about 32,000 people.) Harrington co-chaired DSA with socialist feminist Barbara Ehrenreich until his death. In 1972 he became a professor of political science at Queens College. Harrington’s contribution to U.S. society through his writing and speaking helped legitimize left-wing discourse in American politics. Unlike many intellectuals, he was willing to participate in the tedious work of building an organization. Colleagues marveled at his patience and conciliatory skills and chafed at his inability to share power. Despite a losing battle with cancer of the esophagus, Harrington maintained a grueling writing and speaking schedule and remained active in DSA. He joked that he hoped to stave off death by writing so much. 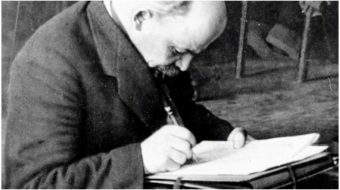 His sixteenth book, Socialism: Past and Future, was published in July 1989. He died on July 31, 1989. For some further reading: Robert Gorman, Michael Harrington: Speaking American (New York: Routledge, 1996); Michael Harrington, Fragments of the Century (New York: Saturday Review Press, 1972; Michael Harrington, Socialism Past and Future (New York: Arcade/Little, Brown, 1989); and Maurice Isserman, The Other American: The Life of Michael Harrington (Perseus Books: Public Affairs, 2000). Maxine Phillips is a former national director of Democratic Socialists of America (DSA) and worked with Michael Harrington for seven years as a member of the national staff. 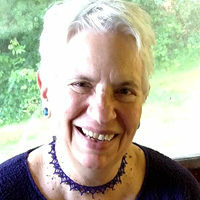 She is the retired executive editor of Dissent magazine and currently volunteers as editor of Democratic Left, the quarterly DSA publication.